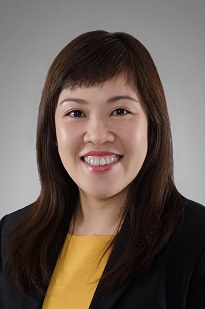 Chen Chen is a partner in the Shipping & International Trade Practice Group of Rajah & Tann Singapore LLP. Her practice focuses on non-contentious aspects of shipping, offshore transactions and ship financing. She is recognised as a Rising Star lawyer in Shipping, Maritime & Aviation by Asialaw Profiles 2014 and 2016. Arranger and lenders in a club loan involving US$100 million financing to an Indonesian borrower to support its upstream oil extraction activities. Arranger and lenders in their financing of up to US$53 million to an Indonesian borrower for the purpose of financing a coal power plant in Indonesia. ABN AMRO Bank N.V., Oslo Branch and Scotiabank Europe Plc (as Singapore counsel) in the US$50 million financing of 3 craned dry bulk carriers each of 40,000 dwt. its financing to a Singapore company in connection with the completion of the acquisition of 20% stake by the company in 3 petroleum concessions in Thailand. its financing of 4 container vessels to a Singapore company in the aggregate amount of US$50 million. HSH Nordbank AG, Singapore branch in its financing of 2 platform supply vessels to a Singapore company in the aggregate amount of approximately US$30 million. United Overseas Bank Limited in its refinancing of up to US$63 million term loan facility to a Singapore company secured by security over 12 vessels. Export-Import Bank of Malaysia Berhad in its US$55 million financing to a Labuan incorporated borrower involving a mobile offshore production unit. Borrowers in syndicated credit facilities comprising up to US$180 million extended by Standard Chartered Bank and PT Bank Mandiri (Persero) Tbk. Shipowners in the sale and purchase of vessels.